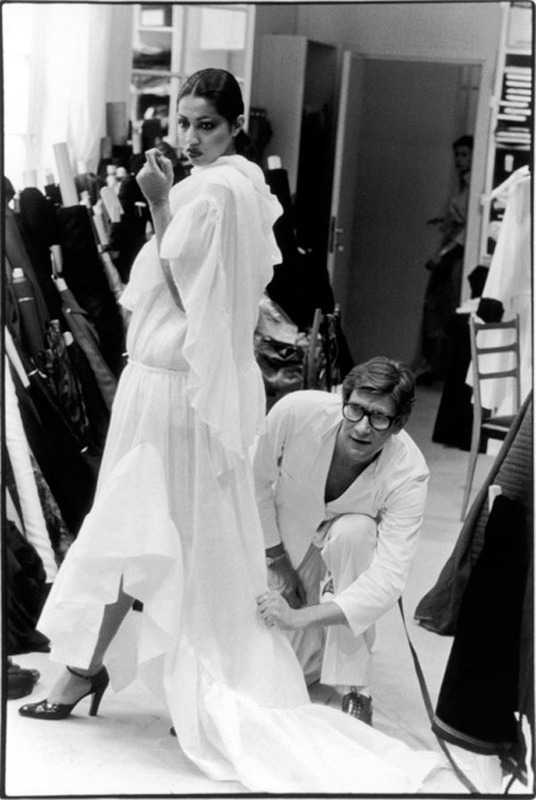 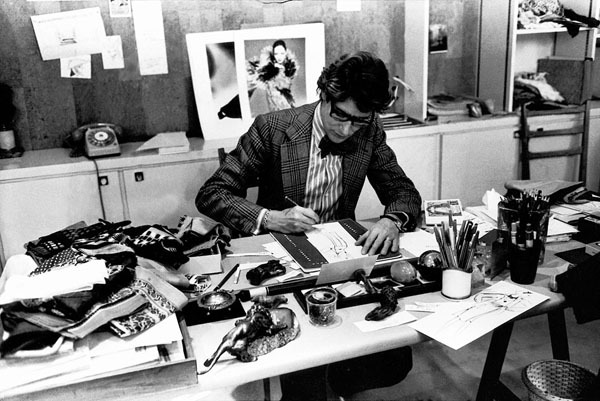 Featuring important examples of haute couture and ready-to-wear, some never shown publicly before, the exhibition reveals Saint Laurent’s artistic genius, his influence on fashion, and the creative process in his atelier. 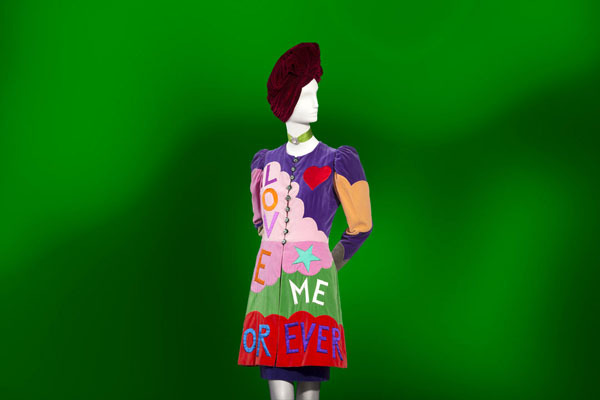 Divided into eight thematic sections, the survey features 110 ensembles, beginning with Saint Laurent’s Paper Doll Couture House, shown for the first time in the United States. 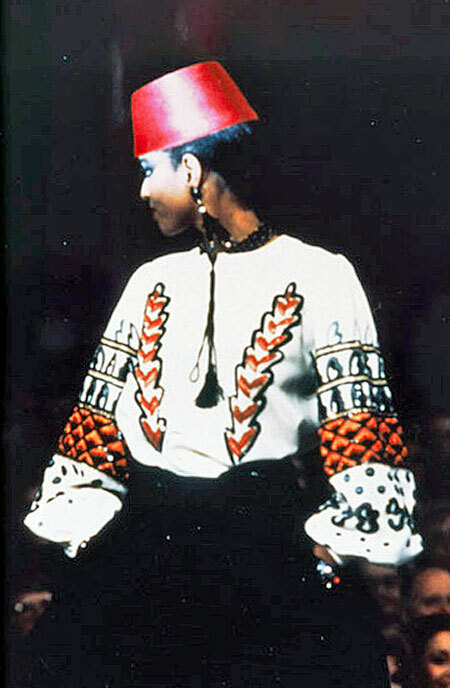 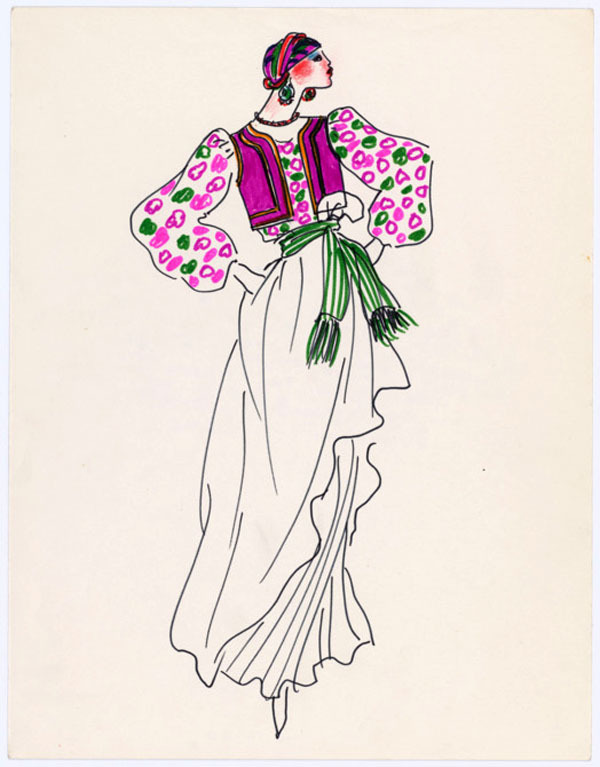 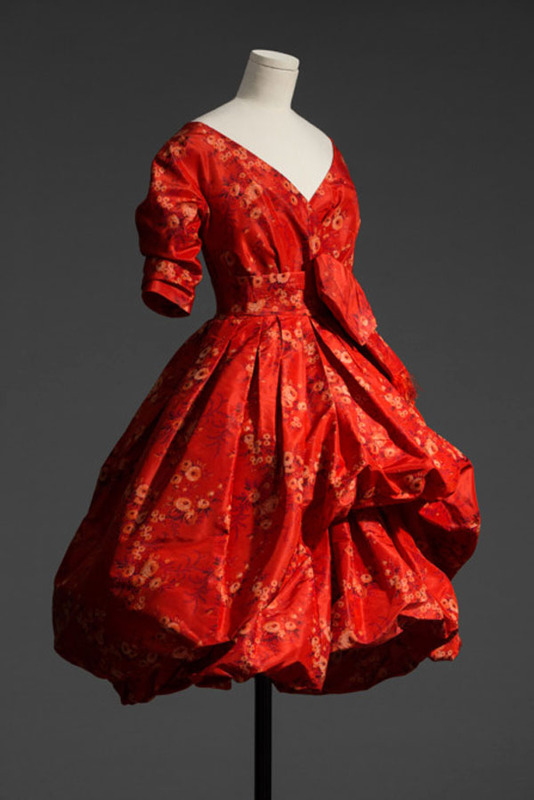 The paper dolls and corresponding wardrobes and accessories were created when the couturier was a teenager. 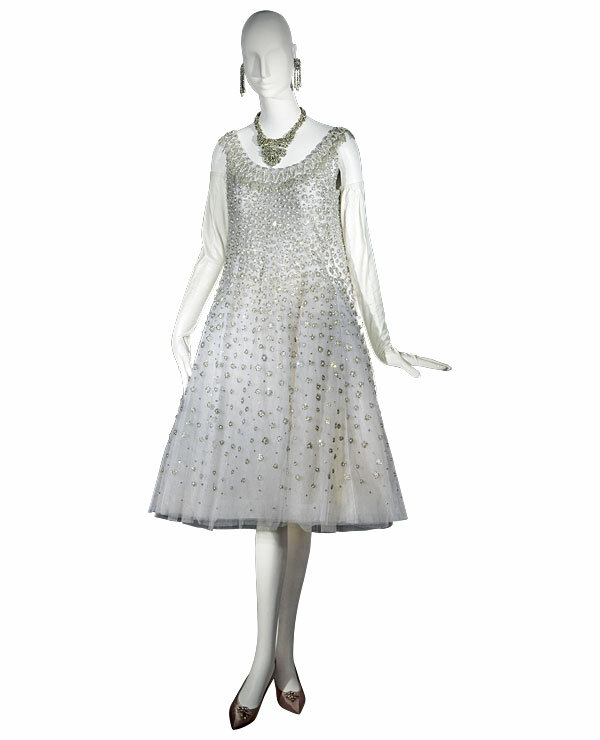 Next comes an examination on Saint Laurent’s formative years at Dior, including a short evening dress from his debut Trapeze collection (1958). 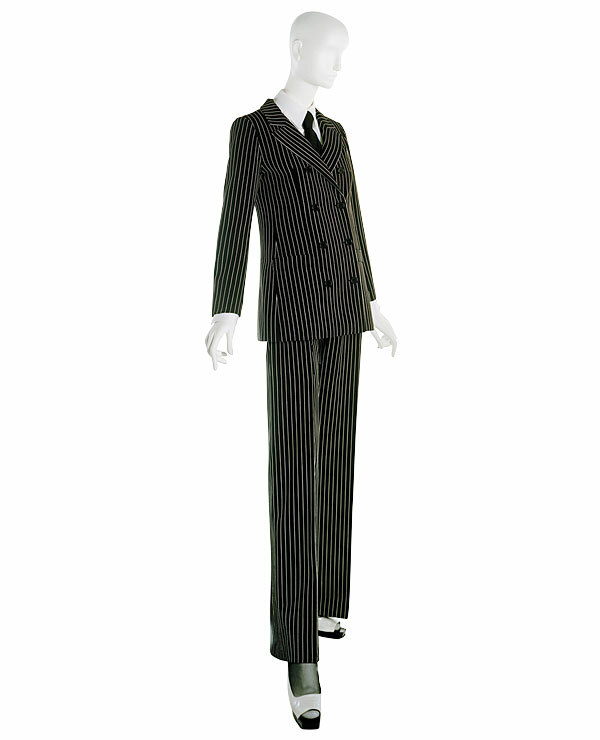 Later looks from Saint Laurent’s own couture house spotlight other innovations: the peacoat (1962), the tuxedo (1966), the First pantsuit (1967), the safari jacket (1968). 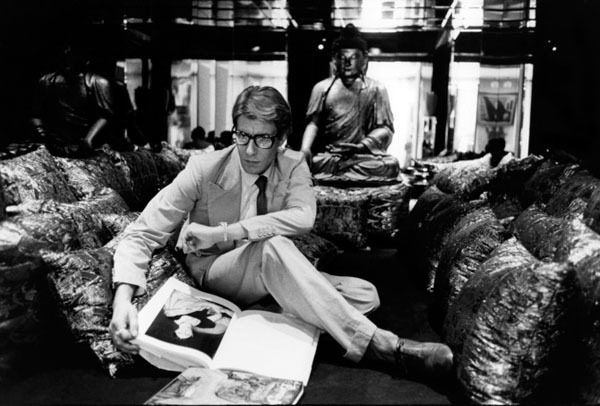 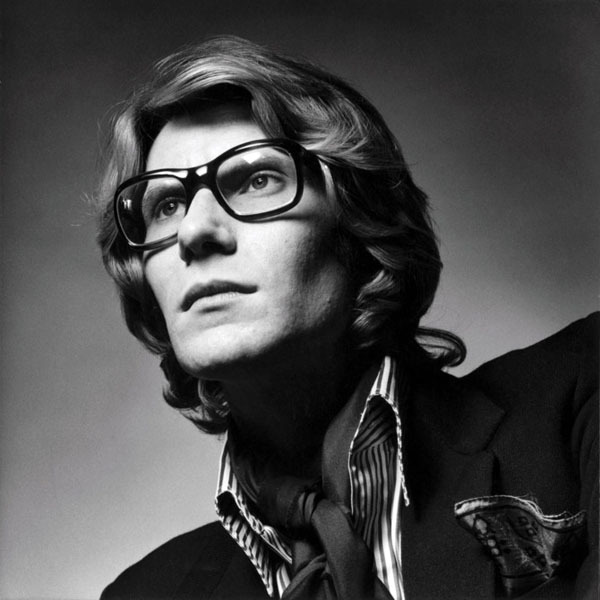 Saint Laurent was also greatly inspired by art. 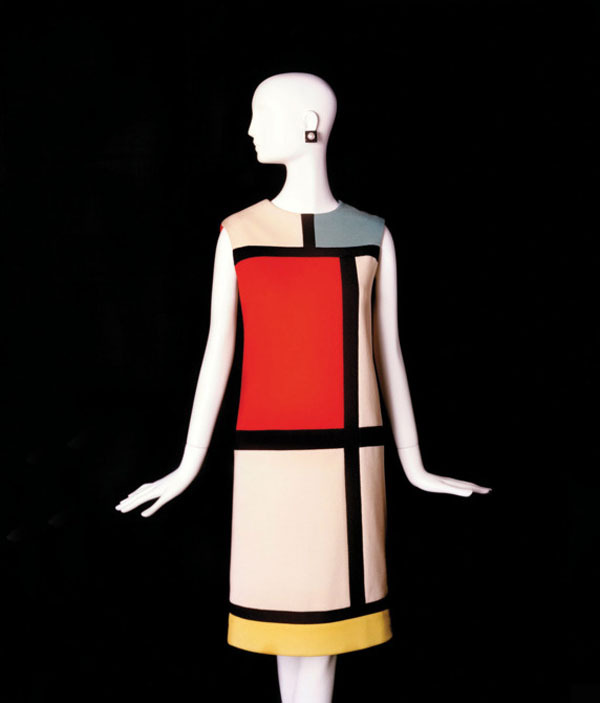 The exhibition includes one of his famous dresses that pays homage to Piet Mondrian (1965) and dresses inspired by Pop art (1966). 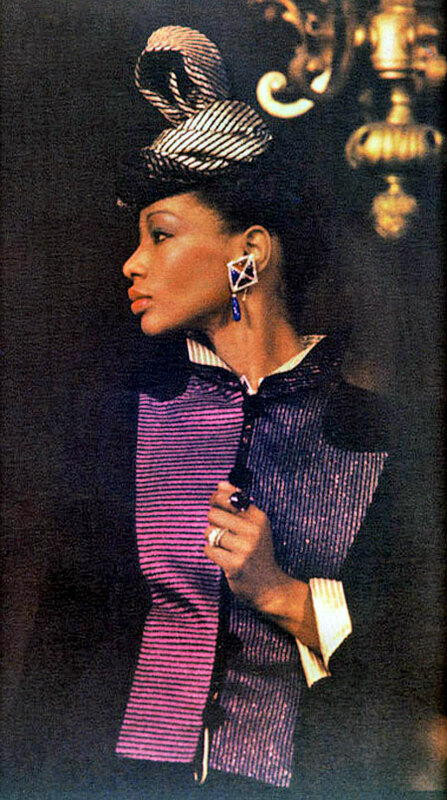 Also on view is an evening ensemble comprising a raffia coat and a silk dress embroidered with wooden beads (1967), loosely based on African art. 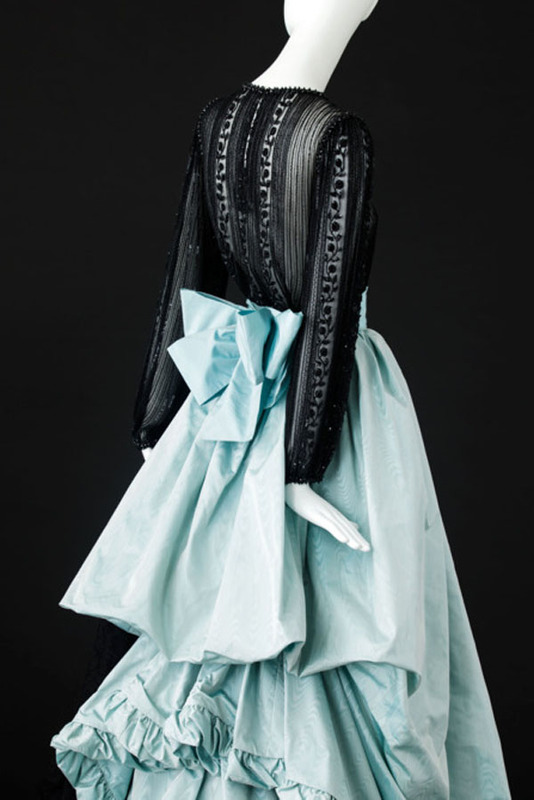 The exhibition concludes with a procession of evening wear ranging from black silk (1977) to blue-green chiffon (1985) to red silk crepe (1985) gowns to the 'Love Me Forever' wedding gown of 1970.